Photo of the Day: Chocolate Bark! 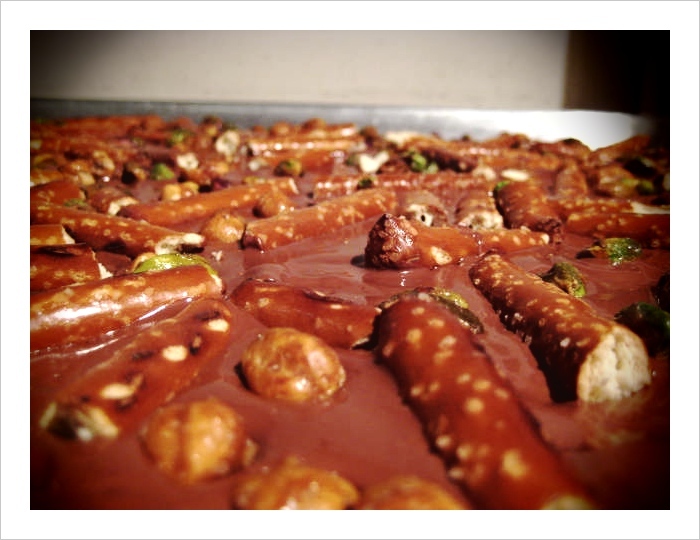 Just made this chocolate bark – a blend of milk and dark chocolates, pretzels, candied hazelnuts and roasted pistachios. Yummmmmmm….